Stroll on the boardwalks to the pristine white sands and emerald waters in the Bridges section of WaterSound Beaches. Stunning views of Camp Creek Lake, this one of a kind custom home has been built to an impeccable quality rarely seen. 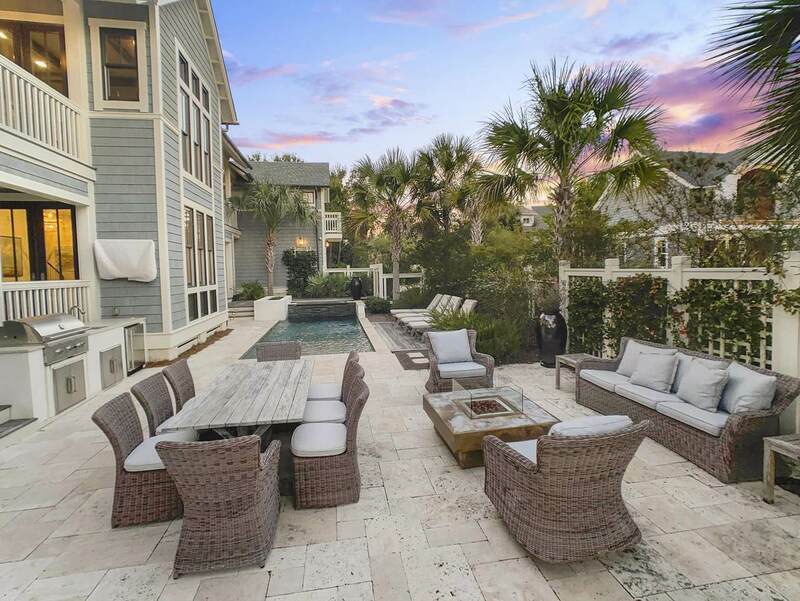 The Tyler Doin design features a 3298sqft inverted floor plan to fully appreciate the Gulf views and Florida sunshine. Complemented by its comfortable carriage house, this residence is perfect for hosting just a few friends or large family gatherings.Upon entering the home, you will be awed by the reclaimed black walnut hard flooring and the attention to detail in the tongue and groove walls and interior millwork. Enjoy the gourmet kitchen with top of the line Thermador stainless steel appliances and Quartzite countertops.The one of a kind custom backsplash is compiled of hand-painted Terracotta tiles. The master retreat offers privacy and a beautiful en suite with custom tile. Three more guest rooms with private bath and a carriage house complete the suite of bedrooms. Enjoy over 1500 sq. ft of porch space, perfect for an afternoon of reading or your morning coffee. 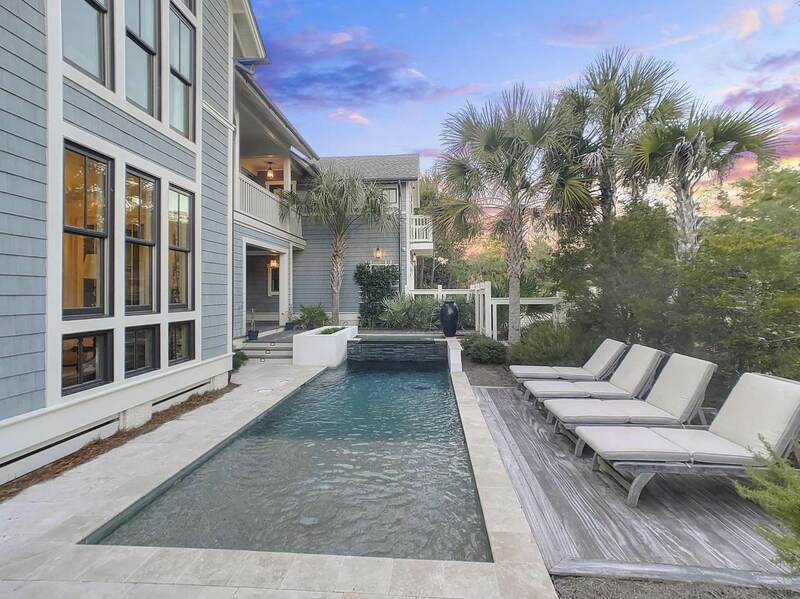 Your personal backyard oasis includes a large heated pool, outdoor kitchen and sprawling patio area to fully embrace life at the beach. Gulf views from the second floor as well as the tower. Additional amenities include: Home security system (hardwired, whole house audio system, gas fireplace, Rinnai tankless water heaters, newly painted exterior trim, air conditioned garage. 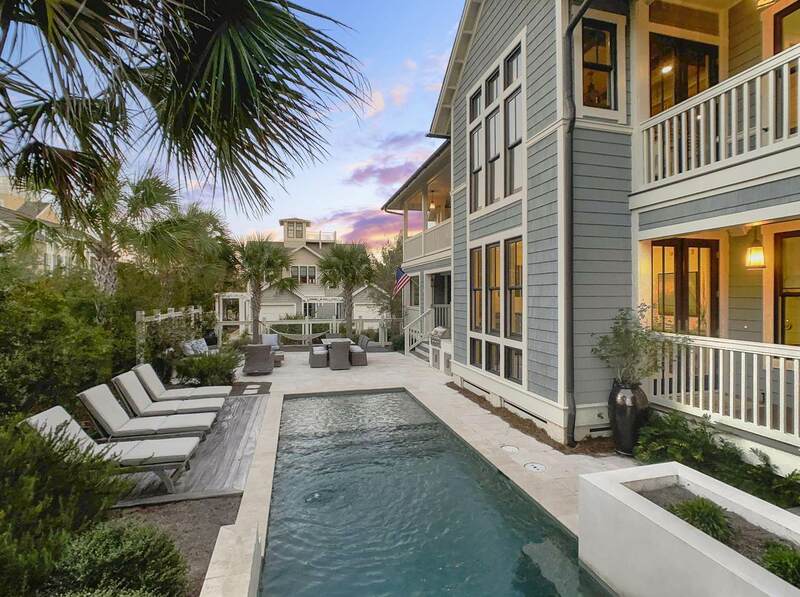 There is no other property quite like this, bringing a new meaning to luxurious coastal living. 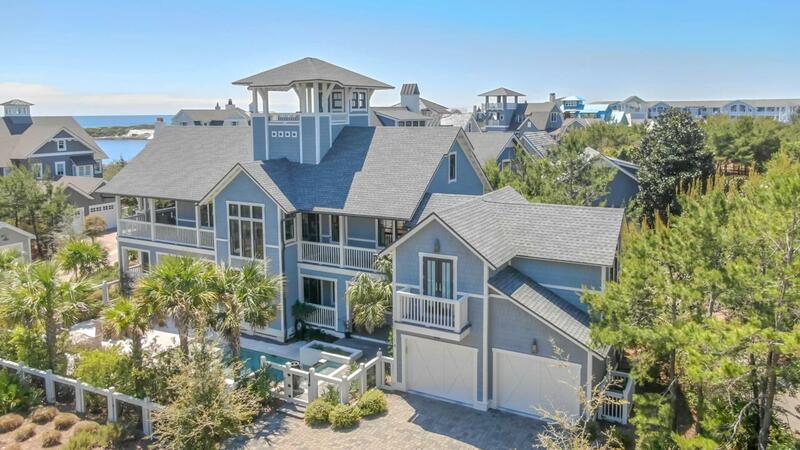 This incredible estate is a true gem of WaterSound Beach.